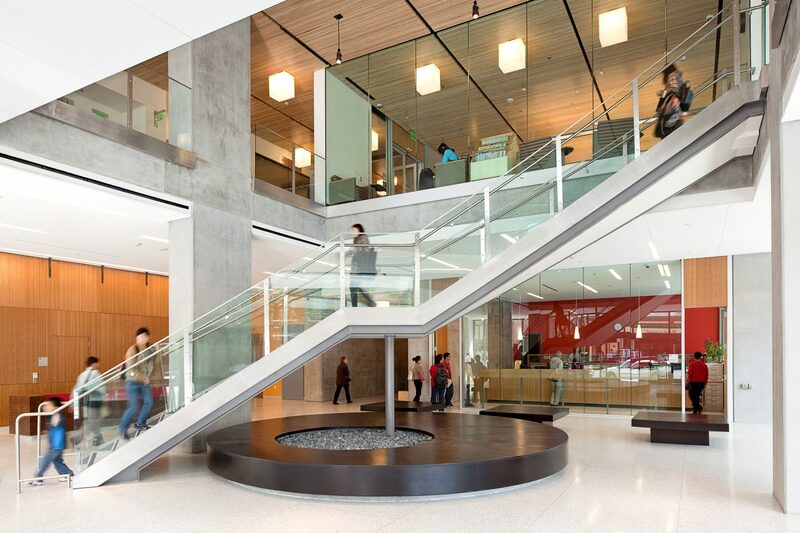 EHDD’s design of the new Chinatown/North Beach campus for City College of San Francisco exemplifies our firm’s strengths: innovative design that makes the most of its location, while respecting the interests of our client, the users, and the community. The project is a result of over 30 years of grass-roots community activism to bring a college campus to a traditionally under-served community. 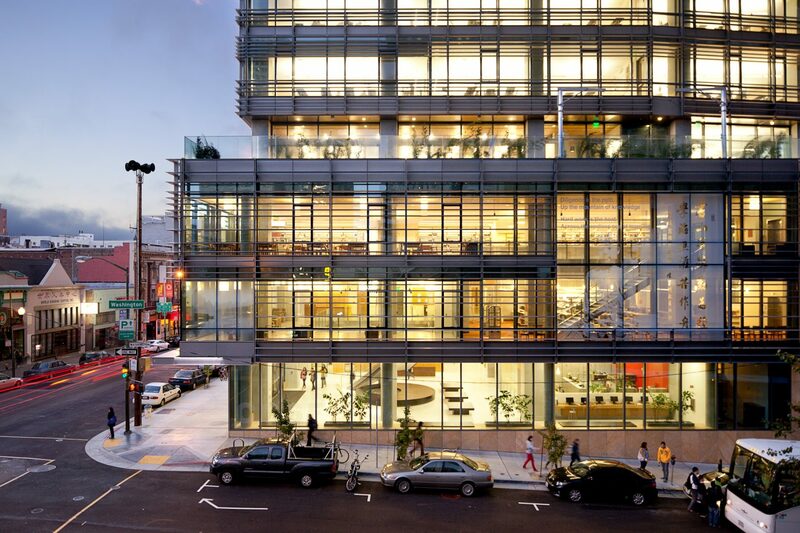 The design process required ten years of stakeholder buy-in from wide ranging interests such as the San Francisco political community, historic preservationists, and educators. The goal of the project was to find a balance in creating a building that fits into the nearby Financial District, Chinatown and the Jackson Square Historic District, while simultaneously incorporating 21st century teaching, technology and innovation. 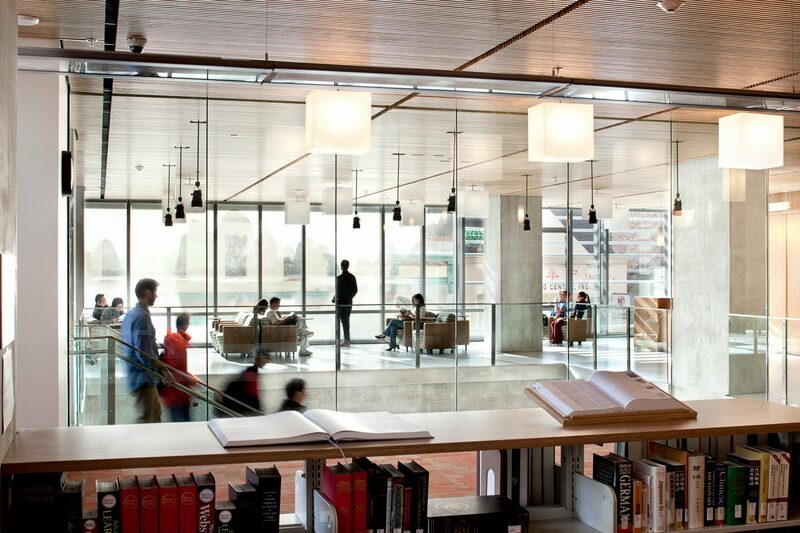 The building provides 39 classrooms and laboratories, administrative offices, library and a community room which opens up into a terrace overlooking Portsmouth Square. (A 4-story annex houses the culinary program which includes a teaching kitchen, a community auditorium, four classrooms and a public café.) 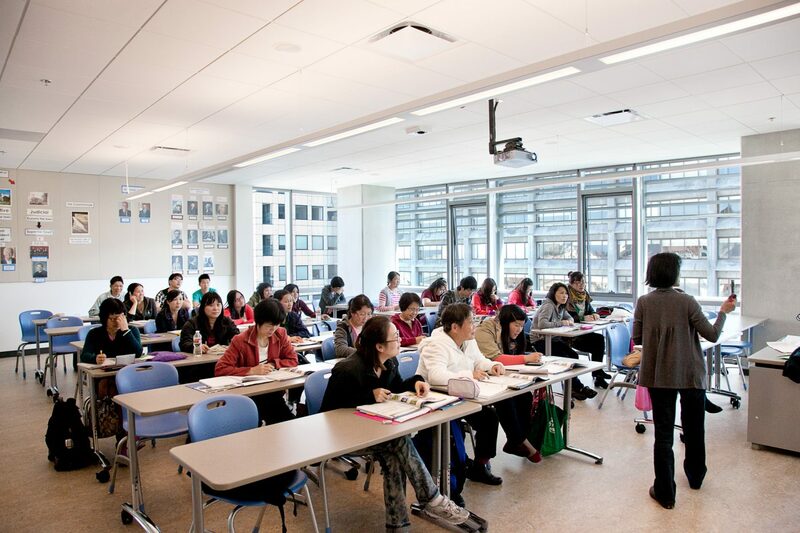 The result is an artful combination of technology and transparency resulting in a compact (.25 acres), open and dynamic 14-story “vertical” campus serving over 4,000 students a day in the heart of the Chinatown community. 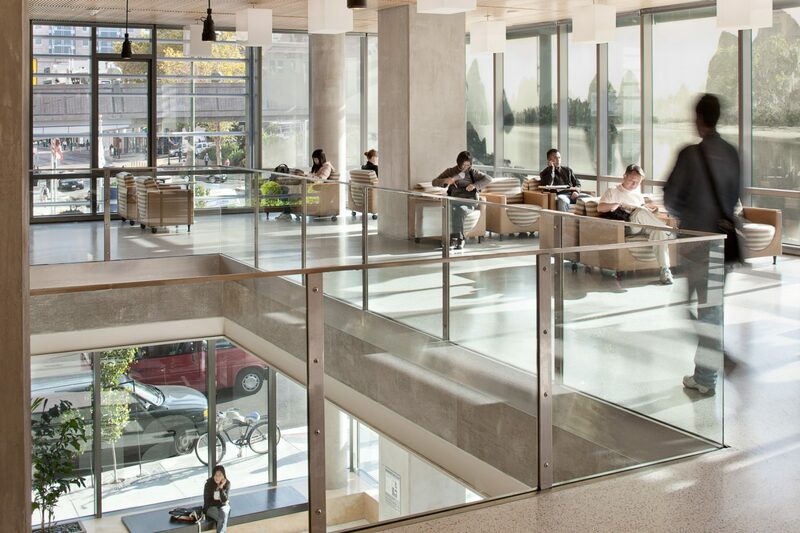 The project is LEED® Gold certified, and creates a transparency that makes clear to passersby the building’s academic purpose. In the context of a project that required the buy-in of a wide variety of interests, the ambitious green goals have been key in winning public support and creating a building that will serve as an anchor for the community.